Startups, Funding & The American Dream | Is WordPress Your CMS? This is a guest post from my former colleague and friend, Kevin Kyzer. We met and shared an office at Go Daddy. Kevin, or as I call him Kevbot, is an ace in the pocket because he combines an engineers technical understanding with an inbound marketing professionals creativity. 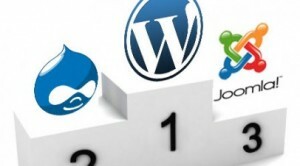 In this post, Kevbot discusses his views on WordPress as a blogging platform vs CMS. Take a minute to think about how you are using WordPress. You, like others, are probably using WordPress to manage your entire website. You probably have a few static pages that hold information that rarely changes (a contact or about us page for example), but the bulk of your content gets relegated to blog entries. There is a very real chance that your evergreen content deserves more continuity than it is currently getting. You probably have a few entries that are still relevant months after they were originally published, but you might not want them to have the permenance that is usually reserved for pages. Some of the problems you might encounter with using WordPress to manage your site stem from the very simple fact that WordPress is made for blogging. Blogging is what it does best, it does blogging better than every other blog platform out there right now. Blogging isn’t everything though; over the long term, your site will likely need to be able to support a growing variety of content types. Maybe you need to manage squeeze pages for your latest product promotion, maybe you need to support a quote page that dynamically redirects emails based on who your customer is trying to reach. Sure, you can use WordPress pages to perform these tasks, but what happens when you want to manage your entire product catalog, dynamically, while maintaining your carefully tailored SEO? When you are publishing online, it is important to understand that different content types are not created equal. That said, they should not be treated or managed equally either. When you publish a static page, it should remain relatively low maintenance, while your product pages need to be updated for promotions, and your blog entries need to be moderated. Having an infrastructure in place to do all this will not only streamline your site management tasks, but will also help create a cleaner, more intuitive interface for your users. That’s right, while WordPress helps you produce quality content, a CMS helps you deliver that content in the most usable fashion possible. Afterall, if content is king, usability is its merciful queen. That’s not to say that WordPress doesn’t work for content management, in many cases it does. Blogs are a subset of content, and many of the functions in publishing a blog entry carry forward enough to help smooth over the rough edges. Plus, when there’s some functionality that is missing, there are a horde of plugins that can help bridge the gap. With WordPress acting as your core foundation, you can add the puzzle pieces necessary to transform your site into everything everything you need it to be. That transformation is what I’ll explain over the next few weeks. Getting WordPress to behave more like a CMS is a matter of finding the right combination of plugins, and establishing some work habits that will help you manage your content. I cover these plugins, some workflows that work for me, as well as some configuration options and plugins that will help you streamline your SEO in future posts. Have any questions on using WordPress as a CMS? Ask them here and I’ll get them answered in the weeks ahead. Kevin Kyzer is the owner of KZen.co, a site devoted to helping small businesses and non-profits realize the potential of their online business efforts.